BlackBerry is top selling smartphone in the UK | BlackBerry Blast! 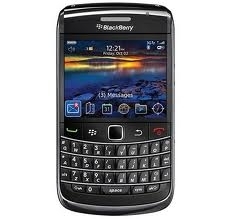 According to GfK, the BlackBerry was the number one selling smartphone in the UK for 2010. In the US it sure seems like all the momentum is behind Apple's iOS and Google's Android operating system, but it seems the Brits prefer RIM's BlackBerry. In 2010 RIM's BlackBerry represented 28.2% of all smartphone sales in the UK, and managed to take 36% of Christmas sales, with over 500,000 devices sold. It seems BlackBerry apps are more popular than most believe. BlackBerry Messenger is now used by 33 million users wordwide, a 500% increase year over year. RIM also brags that it has the number one spot for Facebook engagement and Twitter downloads. I'm sure Apple has different stats but the point is BlackBerry is still going strong. I've read a number of stories about the death of the BlackBerry but don't believe it. Yes, Android is making huge inroads into the smartphone market but BlackBerry won't necessarily follow Palm down the tubes if they stay current. A lot of people really like tactile physical keyboards!